The single goal scored by R. Laldanmawia (58′) proved to be enough for Khalid Jamil’s boys to register their first win over Kingfisher East Bengal in the Hero I-League. Thanks to the win, Aizawl FC rise up to 20 points, one point shy of the joint leaders Kingfisher East Bengal and Mohun Bagan. Meanwhile, after the humongous win by Aizawl FC, Mohun Bagan left to be the sole team who are yet to be beaten in the ongoing season. The highly anticipated match between Aizawl FC and Kingfisher East Bengal kicked off to a dramatic start with the away side making their attacking moves immediately. However, the home boys were not to be stupefied by Trevor Morgan’s boys and took to distressing their attacking attempts. Just three minutes into the match, Haitian midfielder Anselme’s volley with his left foot from the left flank crashed on to the woodwork to the relief of Aizawl FC keeper Albino Gomes. As the game picked up pace, the home side got more eloquent on the pitch, attacking from both sides. Towards the end of the first half, Aizawl FC missed what could have easily been the first goal of the match as R. Laldanmawia’s volley flew high over the crossbar. Brandon’s striking delivery from the left was cleared by Bukenya, but Laldanmawia failed to convert the ball which came his way. Bukenya saved his team a few minutes later as he thwarted Al-Amna’s attempt for the back of the net. Bukenya was kept busy by Aizawl FC towards the end of the first half. In the 43rd minute, Kamo received the ball inside the box but was defeated once again by Bukenya. Bukenya again interfered with Alfred Jaryan’s free kick moments before the whistle blew for halftime, with the first half coming to an end goalless. The second half saw the visitors attempting to equalise, but without any success. 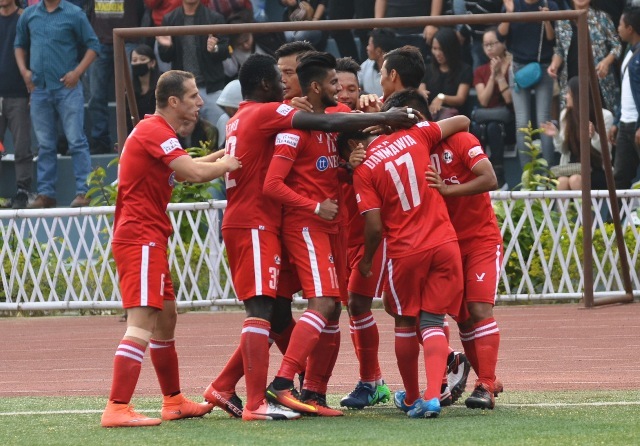 Aizawl FC eventually proved themselves to be the better team of the day as they grabbed an opportunity to lead. To the ecstasy of the huge crowd of supporters, R. Laldanmawia beautifully lobbed the well-timed cross unleashed by Jayesh Rane from the left. 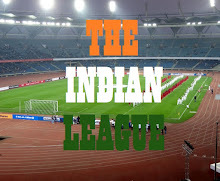 East Bengal characteristically attempted to have the fortune reversed in their favour but the attackers were repeatedly outnumbered inside the box. Robin Singh tried to score as he received Rahul Bheke’s delivery but his header jammed into Albino’s gloves. Towards the end of the match, the away team kept the Aizawl FC boys on their toes but eventually, the home team had the last laugh. R. Laldanmawia was declared the Hero of the Match. Trevor Margan admitted his side did not deserve a win, “Aizawl FC deserved to win. The practice I had with my boys did not translate across in their game today."